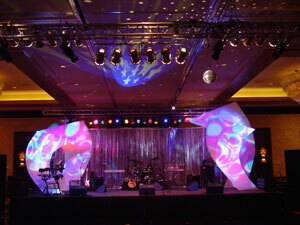 DRK Event Lighting has many years of experience in designing and installing decretive lighting. 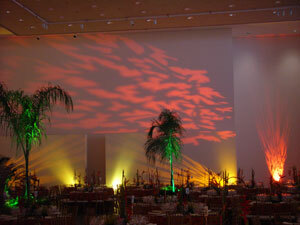 Our staff is very dedicated and our events our polished with spectacular results. 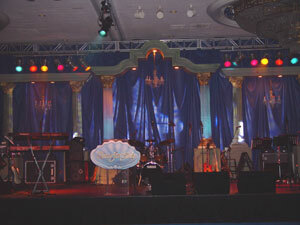 We are committed to transforming any place into a breath taking event. We look good by making your event look great. 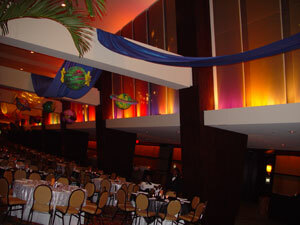 Our staff is very knowledgeable in every aspect of production, designing, lighting, sound, video, pipe & drape, special effects, LED lighting, and much more. We will work with you from start to finish; no event is too simple or to complex. Here at DRK Event Lighting, we strive for perfection and have a flawless safety record. We are extremely safety conscious for our selves, for you, and your guests.